Reclusive literary legend M. M. Mimi Banning has been holed up in her Bel Air mansion for years, but now she's writing her first book in decades and to ensure timely completion her publisher sends an assistant to monitor her progress. 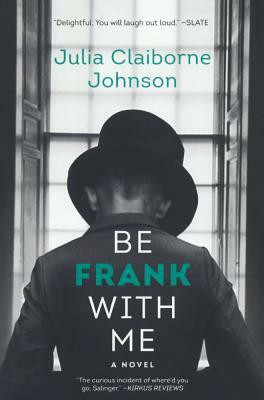 When Alice Whitley arrives she's put to work as a companion to Frank, the writer's eccentric son, who has the wit of Noel Coward, the wardrobe of a 1930s movie star, and very little in common with his fellow fourth-graders. The longer she spends with the Bannings, the more Alice becomes obsessed with two questions: Who is Frank's father? And will Mimi ever finish that book? Julia Claiborne Johnson has struck gold in creating Frank Banning a one-of-a-kind exasperating, witty, and endearing nine-year-old genius who functions as the beating heart of this marvelous book. Julie Schumacher, author of Dear Committee Members.